On July 22, 1784, German mathematician and astronomer Friedrich Wilhelm Bessel was born. He is probably best known for his works in mathematics, where he discovered the eponymous Bessel-functions, which are critical for the solution of certain differential equations. Friedrich Wilhelm Bessel was born in Minden, Westphalia (today Germany), as second son of a civil servant. 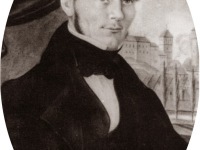 Bessel attended the Gymnasium in Minden for four years but he did not appear to be very talented, finding Latin difficult, although he later succeeded in teaching the ancient language to himself. At the age of 14 Bessel was apprenticed to the import-export concern Kulenkamp at Bremen. At first Bessel received no salary from the firm. The business’s reliance on cargo ships led him to turn his mathematical skills to problems in navigation. This in turn led to an interest in astronomy as a way of determining longitude. In 1804 Bessel wrote a paper on Halley’s comet, calculating the orbit using data from observations made by Thomas Harriot and William Lower in 1607 . This brought him to the attention of a major figure of German astronomy at the time, Heinrich Wilhelm Olbers, the leading comet expert of his time. 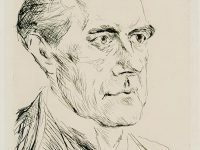 Olbers recognised at once the quality of Bessel’s work and Olbers gave Bessel the task of making further observations to carry his work further. The resulting paper, at the level required for a doctoral dissertation, was published on Olbers’ recommendation. From that time on Bessel concentrated on astronomy, celestial mechanics and mathematics. In 1806 Bessel accepted the post of assistant at the Lilienthal Observatory, which gave him valuable experience observing planets, in particular Saturn, its rings and satellites. He also observed comets and continued his study of celestial mechanics. 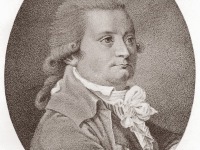 In January 1810, at the age of 26, Bessel was appointed director of the new founded Königsberg Observatory by King Frederick William III of Prussia. There he published tables of atmospheric refraction derived from James Bradley’s observations of the positions of 3222 stars made around 1750 at Greenwich (Bradley was English Astronomer Royal from 1742 to 1762), which he had already began in 1807. While the observatory was still in construction Bessel elaborated the Fundamenta Astronomiae based on Bradley’s observations. It was not possible for Bessel to receive a professorship without first being granted the title of doctor. A doctorate was awarded by the University of Göttingen on the recommendation of Gauss, who had met Bessel in Bremen in 1807 and recognized his talents. Since 1819 Bessel determined the position of over 50,000 stars assisted by some of his qualified students. With this work under his belt, Bessel was able to achieve the feat for which he is best remembered today: he is credited with being the first to use parallax in calculating the distance to a star. Bessel showed in 1838 that 61 Cygni, a star barely conceivable with the naked eye, apparently moved in an ellipse every year. This back and forth motion, called the annual parallax, could only be interpreted as being caused by the motion of Earth around the Sun. Astronomers had believed for some time that parallax would provide the first accurate measurement of interstellar distances—in fact, in the 1830s there was a fierce competition between astronomers to be the first to measure a stellar parallax accurately. In 1838 Bessel publicly announced that 61 Cygni had a parallax of 0.314 arcseconds; which, given the diameter of the Earth’s orbit, indicated that the star is 10.3 lightyears away (by today’s measurement of 11.4 lightyears, Bessel’s estimation did only deviate by ca. 10%). Another major discovery by Bessel was that the two bright stars Sirius and Procyon execute minute motions that could be explained only by assuming that they had invisible companions disturbing their motions. The existence of such bodies, now named Sirius B and Procyon B, was confirmed with more powerful telescopes after Bessel’s death . 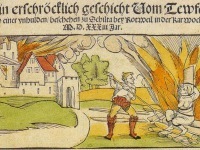 Besides these activities, he was ordered to undertake a geodetical survey of East Prussia (“Ostpreussische Gradmessungen”). From the differences between geodetical and astronomical coordinates, Bessel derived the figure of Earth as an oblated spheroid with ellipticity 1/299.15 (Bessel Normal Ellipsoid). Bessel also contributed significantly to mathematics and invented the so-called Bessel functions (also called cylindrical functions) in 1824. Bessel died in Königsberg on March 17, 1846 at age 62 from a long mysterious disease which we now know was probably intestine cancer. At yovisto you can learn more about astronomy in a popular lecture by Neil deGrasse Tyson at the University of Washington in Seattle. Bessel was the first to publish the successful measurement of Stellar parallax. The first to successfully measure stellar parallax, however, was Thomas Henderson!